Hi There, Fellow Gardeners! This is AnnahMarie. Today, Organic Gurlz Gardens of Fort Wayne, Indiana will be sharing information on The Brassicaceae Family. The Brassicaceae (Brass-sis-e-i) family is full of delicious produce. It includes veggies such as cabbage, brussel sprouts, turnips, broccoli, and much more. While carrying a weird name, this funky bunch is plentiful with delectable benefits. Read on to learn the amazing benefits of the Brassicaceaes. Benefits of the family’s members: Broccoli: the awesome veggie- Broccoli is an awesome bone strengthening, cancer fighting vegetable. 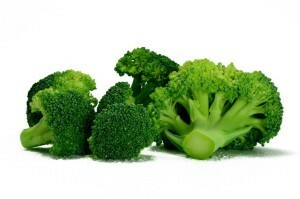 Also high in Vitamin C, broccoli can toughen the immune system. Both the head and the leaves can be consumed raw or steamed. (My mommy, Becca, often tosses them in a salad or makes a wrap with the leaves! It is a perfect (healthy) lunch for on the go!) Turnip: it ‘nips’ out the “bad stuff”- Along with having sky-rocketing levels of anti-oxidants, turnips can also help prevent cancer and shield heart health. In addition, because the veggie is high in calcium, it supports good bone growth and health. Talk about a root to keep around the kitchen! Cabbage: it deserves a badge for its hard work - A powerhouse vegetable that is anti-inflammatory, Cabbage is also a blood sugar regulator. Cabbage is part of the Brassicaceae family. (The Brassicaceae family is also home to Swiss chard). Just toss is a soup and let the allergy fighting power take place! *Tip from Becca – add a pinch of sesame seeds every now and then to “calm down” the foul scent. * After all, you don’t want the scent drift throughout the house! Brussel Sprouts: tiny, but huge- These fantastic sprouts can help prevent cancer just as Turnips and provide cardiovascular support. Brussel Sprouts may also aid digestion and inflammation. Remember to keep Brussels on the kitchen table! Don't forget to tell your kids, grandchildren , nieces and nephews about the Kids Oasis!